In my a rt making process I wait and reach for understanding to all of life’s experiences… that of earthly, spiritual, psychological, and emotional. These experiences become messages woven through atmosphere, color, texture, design, and subject. Art is a journey of discovery, not a place I reach to begin consistent pictures in a so-called style, conforming to the latest contemporary fads. For me, art is a search for new ideas, thoughts, emotions, truth from many views, and most importantly the expressions of my truth. 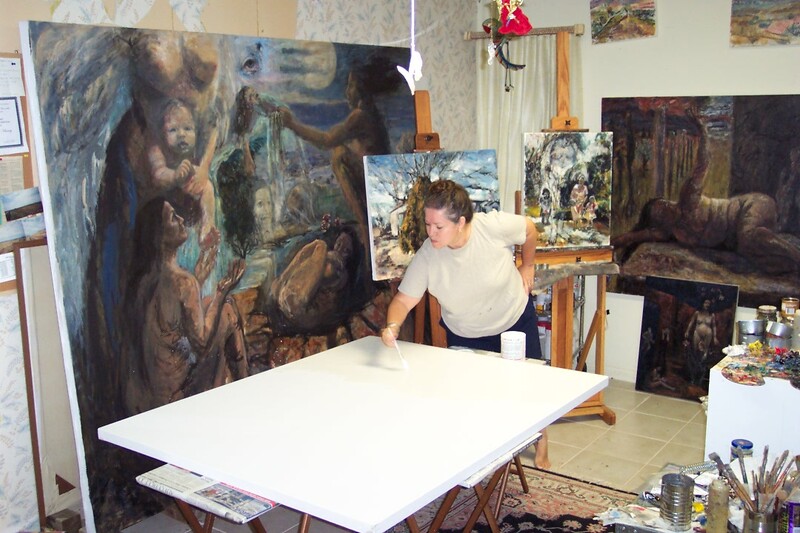 The openness communicated in my art opens doors for dialogue of the world and human condition. There is now an opportunity in a small way to plant ideas for change and healing to an ailing world on the verge of disappearing. Now is a time for exploration and my art is evolving. I take an experience from where I have been in my life and ask what I am feeling and how do I want the painting to reflect this feeling. I then begin a process of building and destroying, adding and subtracting until it becomes what it is, and then I put it away. But in the midst of this process there is the “zone”, where praise and a connection with my creator enters, and I must do it again. In the end the painting speaks to me things so wonderful, so healing, and so revealing. I then know this is a gift from God for me and to anyone who will truly see and feel. My art reflects my life and the world in a fragile state of being. I wait in the spacious distances, in the clutter of nature, in the cold of swamps in winter, in the toxic deserts, in the polluted ponds, and in the jungle of my backyard. I wait with wounds deep in my heart for a lost tree called family. I wait to identify, but for now the land speaks the inward woman that I have become. The land is a mirror of moods, joys, and sadness; it cries and sings for me as I wait in this fragile state of being.